If you feel like you don't have enough Google in your life, Google wants to help out with that. 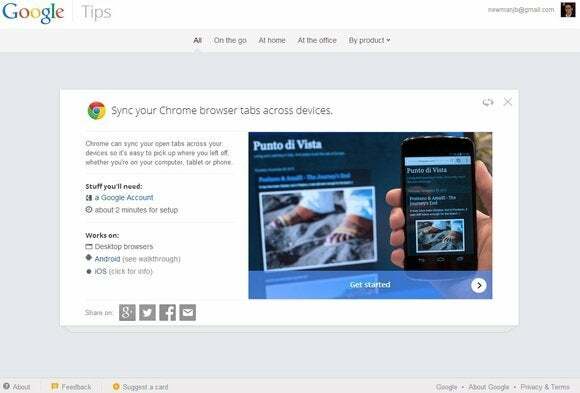 The search giant has launched new website called “Google Tips.” It's full of quick pointers for making better use of Google services such as Chrome, Google+, Google Maps, Google Drive, Gmail, YouTube, and—of course—Google Search. For instance, one tip explains how to add Google Drive attachments in Gmail, allowing for files up to 10 GB. Another tip describes how to install Android apps remotely to your phone or tablet from a web browser. Each tip presents itself in a slideshow format, showing a different image for each step. Most tips take just a minute or two. The tips are certainly helpful, but they're also a little unnerving. In most cases, the subtext is that you should be using more Google products, or handing over more personal information in the products you already use. For instance, one tip encourages you to add your friends' addresses in Google Contacts so you can use their names to get directions in Google Maps. Another tip instructs you to turn on automatic camera uploads in the Google+ Android app so that it can make animated GIFs from any images you take in rapid succession. As useful as these tips are, they're also a reminder of Google's ad-driven business model. Or maybe that's just an overly cynical way to look at things. The tips are worth checking out, though power users will probably be familiar with most of them already. 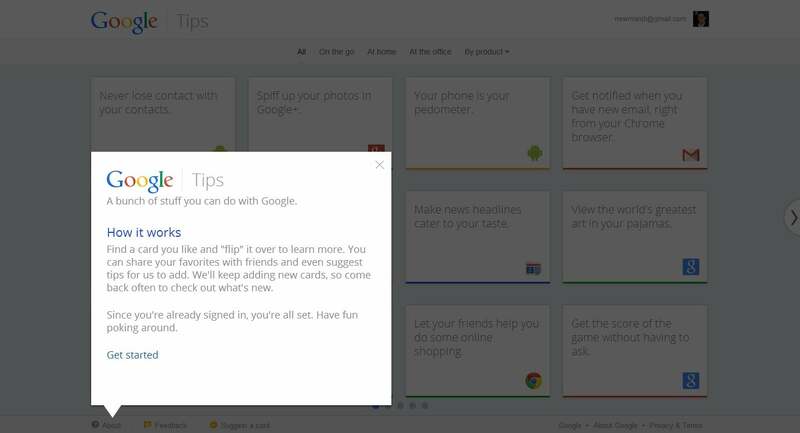 In that case, Google is letting users submit their own tips, and promises to add more over time.